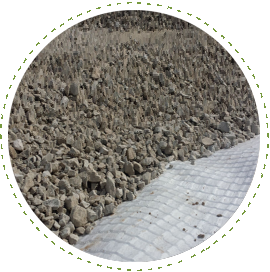 Geosynthetic Systems distributes several varieties of geogrids, supplied by manufacturers we select as much for the outstanding quality of their products as for their consistent reliability. Geogrids are designed for multiple purposes – from base reinforcement in road construction to reinforced slopes and segmental retaining wall construction. 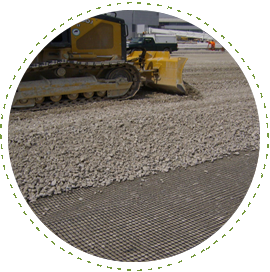 Geogrids allow optimum flexibility while providing low cost solutions to difficult grade separation site conditions. Geogrids are mechanically and chemically durable and produced in multiple strengths in order to provide the most efficient design possible. 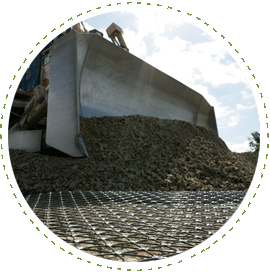 Geogrids are designed to be a reinforcement material that is easy to install in the field as they can be cut by hand for precise shaping. 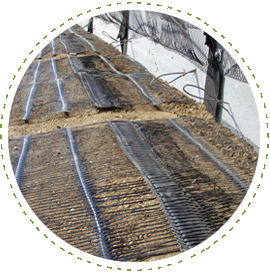 Selection of the appropriate geogrid depends upon the application and project specification, so make sure to contact Geosynthetic Systems to ensure the right product gets to the jobsite.